We usually have a ton of candy around during the holidays, but all that has changed! My husband and I are really working to keeping our foods clean and healthy and not keeping junk around. Not to say that we can’t have a treat, but I would rather splurge on something truly delicious than eat 12 crappy heart-shaped candies. My husband also has no desire to be tempted with store-bought candy that has an ingredient list long and hard to pronounce. So this year I am not loading up his gift basket with high-fructose corn syrup; I’m making my own sweets! Most Paleo (and GAPS, Primal, and other healthier grain-free/sugar-free options) usually contain the following ingredients: coconut, coconut oil, coconut butter, dark chocolate, cocoa, honey or pure maple syrup, almond flour, almond butter, and coconut flour. There are a lot of healthier options out there that taste just as good. Here are a few simple treats you can make for your sweet heart or yourself! Homemade Mounds (or Almond Joy) from Detoxinista: I’ve made these before and they taste like the real thing! I had to use a bit more coconut oil then the recipe called for, but maybe my coconut was stale. I might also try and put the filling in cute molds before freezing and coating in chocolate. Paleo Fudge from Practical Paleo: I have a friend who loves this stuff, and it is super easy to make! 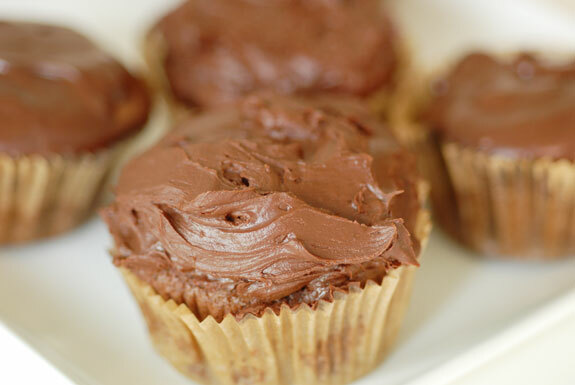 Paleo Chocolate Cupacakes from Elana’s Pantry: And chocolate frosting! I want to make these! 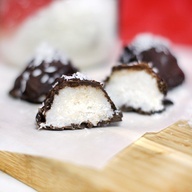 Coconut Klondike Bites from PaleOMG: I really need to get some coconut butter so I can try these out. I love mint. 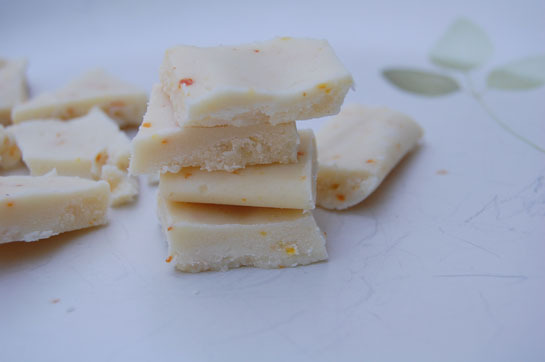 Coconut Orange White Fudge from The Nourishing Gourmet: This looks so good. Like I said, I really need some coconut butter. 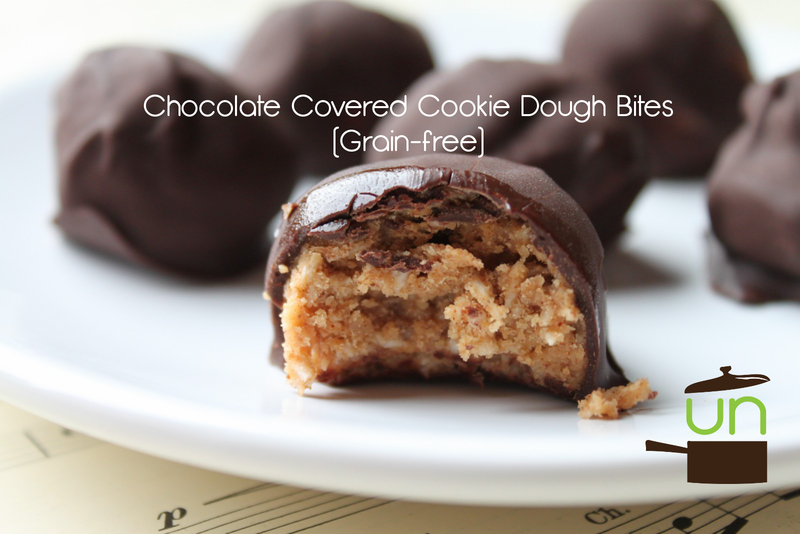 Chocolate Covered Cookie Dough Bites from The Unrefined Kitchen – These seem easy to make and a nice chewy treat. 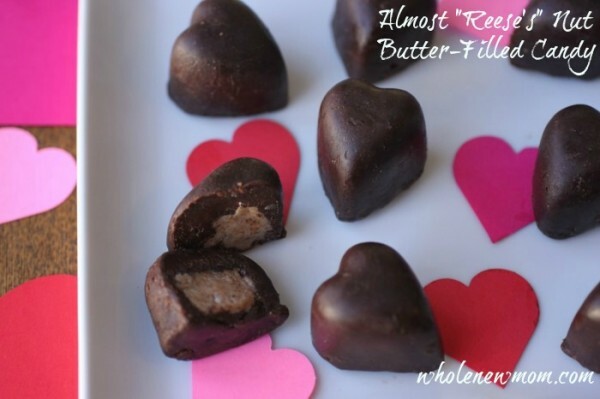 Almost Reeses’ Candy from Whole New Mom: My husband loves Reeses, so I really want to try these. Don’t forget about chocolate covered strawberries! Melt some dark chocolate with a little coconut oil and dip the berries, drizzle the chocolate on top, or look for other creative ways. Chocolate fondue and mixed berries is a fun dessert, too! mmmm, yum! Chocolate releases serotonin and is very good for the soul . . . especially dark chocolate!